The city raided four cafes and a deli late Friday night after getting complaints of illegal activities occurring at the businesses, according to police director Jerry Speziale. Police, fire inspectors, and building inspectors raided the five businesses in a single block of Grand Street between Jersey and Mill streets beginning at 10 p.m.
And Bulkan Café at 293 Grand Street. 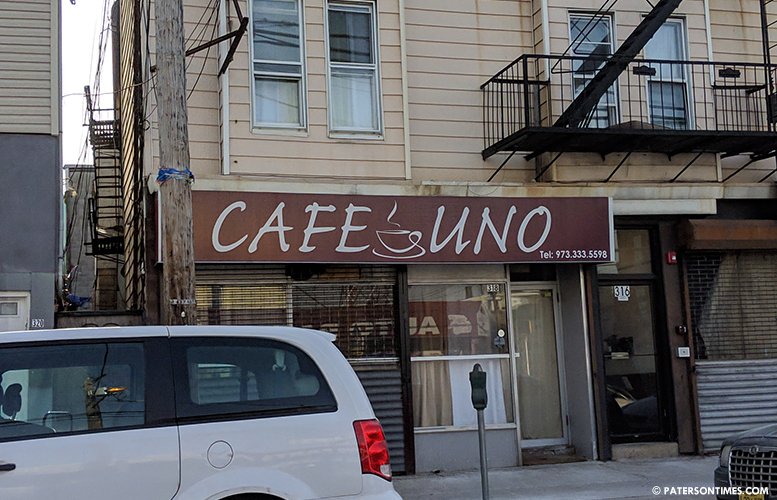 Police arrested two people – owner Izet Sobovic, 54, of Astoria, NY; and manager Rodmila Vukcevic, 34, of Paterson — at the Café Uno for possession of two gambling devices, Keno machines, maintaining a gambling resort, and promoting gambling. Police seized $3,575 in proceeds from illegal gambling and sale of alcohol without license. Café Uno was issued three summonses for selling alcohol without license, allowing public smoking, and operating without a pool license. Police confiscated $2,007 from Sobovic, $861 from one Keno machine, $262 from another Keno machine, $278 from Mariana Bugarin, and $167 from Vukcevic. Both Keno machines, 1 poker table, and large amount of alcohol was seized as evidence, police said. At the Café Trend police seized $244 in cash from Juliana Pejovic as proceeds from illegal sale of alcohol within the establishment. Pejovic was issued a summons for sale of alcohol without a license. Police seized a large amount of alcohol from the business. Police seized $337 from Grand Café. $257 was confiscated from owner Milomir Gospavic and $80 from waitress Udija Spasovik. Gospavic was issued four summonses for two counts of selling alcohol without a license, smoking in public, and maintaining a nuisance. Police seized a large amount of alcohol as evidence from Grand Café. At Deli 011 police confiscated $770 from Slavica Barron as illegal proceeds from sale of alcohol. Barron was issued summonses for maintaining a nuisance, selling alcohol without a license. Police took large amount of alcohol as evidence from the business. Police seized $34 from Malgorzat Grkov at the Bulkan Café and issued summonses for smoking in public and sale of alcohol without a license. Speziale said the five businesses have been a “a significant source of complaints from concerned citizens” for loud music, illegal gambling, selling alcohol without license, hookah smoking, and functioning as afterhour joints between 5 and 8 in the morning. “These locations are impeding and eroding the quality of life,” said Speziale, vowing to continue enforcement against law breaking businesses. “My administration is adamant about enforcing the law. We will not tolerate illegal activity and I am proud of our task force’s work during last night’s operation,” mayor Andre Sayegh said. When will the Muslim businesses in South Paterson get raided for all of the illegal crap they're up to? Do they get a pass from their brother the mayor? He's on the take 1… 2 he's Florio's boy… and 3 it was all propaganda. These proceeds seem so small, what is the real reason for these raids.